I had so looked forward to teaching at Stirling, but it wasn't to be for a multiple of reasons. Who knew that five years later I would finally visit Scotland and like it so much that I'd go back again, this time to Shetland, a year later? One day I'd love to go to the Inverness Loch Ness Knitting Festival. This year's festival starts on Monday. I've been to (and on) Loch Ness and it's a beautiful area. No monsters were spotted! 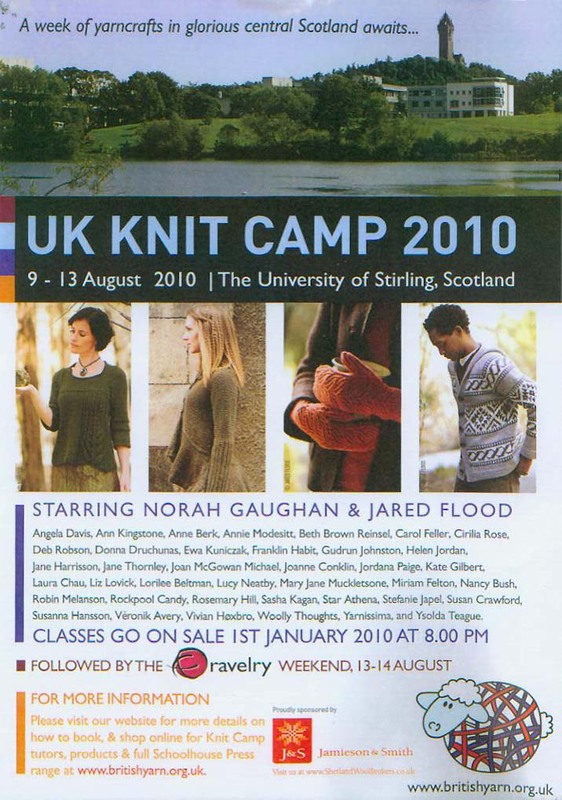 I'd also like to go to the Edinburgh Yarn Festival one day. I'm often amazed at how many great knitting events there are throughout the world these days. As I look forward, and think about my love of teaching and knitting, I'm hoping to do more of both. Teaching in Dallas a few months ago was so much fun.